We use a web based software system to manage caregiver scheduling, monitor arrival and departure times, as well as ensure that all tasks from the care plan are completed. All Care Hawaii is automatically alerted if an employee doesn't arrive on time for a shift and all finished or unfinished tasks are recorded. When our employee arrives to work in your home, they will use your phone to call into our computer. Once they phone in, the computer notes that they have arrived at work. After the visit has ended, and prior to leaving your home, they will call into the computer once again to confirm the visit is finished. The care plan is also stated verbally to them when they call the computer so you can rest assured that the caregiver is familiar with your or your loved ones needs. 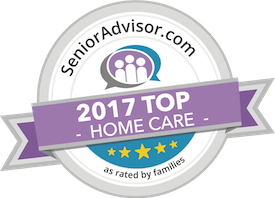 And you will feel an added security that you will be billed only for the exact number of hours that the caregiver has provided you or your loved ones.